***Tickets provided for consideration. Our love of Thomas is all our own. Have you ever told your child that they have been 'really useful' after finishing their chores? Have you ever told your child that they are causing confusion and delay when they're being a little mischievous? Do you find yourself say, 'Accidents happen now and again' when your child spills their juice or takes a little stumble? Have the words, 'Well, bust my buffer' actually come from your mouth? If you answered yes to any of these questions, you MUST have a Thomas the Tank Engine fan in your life. Let me tell you, if there is one thing I know...it's what it's like to have a Thomas fan in the house! I've been living it for the last 9 years! It started when my son was only two years old, and has continued on through today at almost 11. Five years ago, we had the opportunity to make this Thomas kid's dream come true. 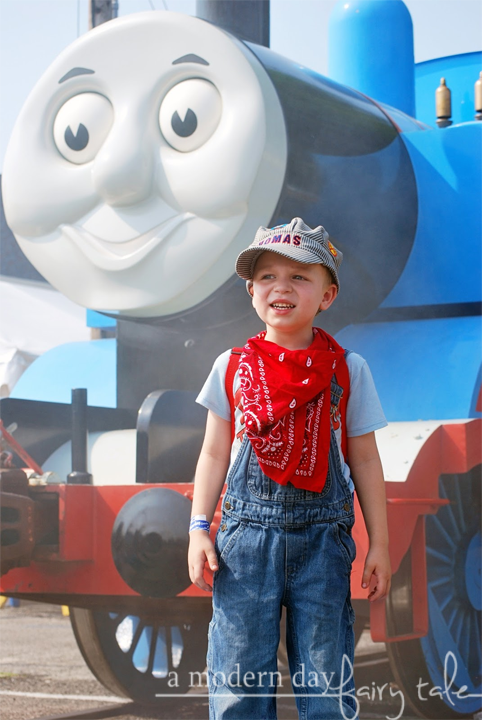 He actually got to hop aboard his favorite blue engine at Day Out With Thomas! 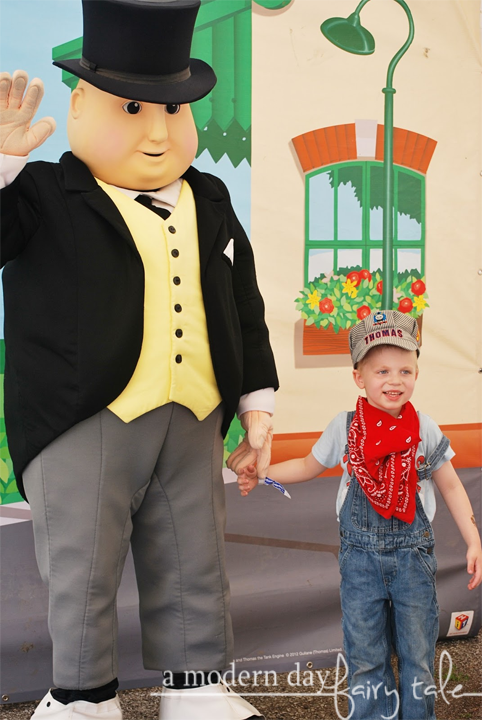 We took a train trip ON Thomas, we played fun train toys, and we even met the fat controller himself, Sir Topham Hatt in this fun-filled Thomas the Tank Engine event. 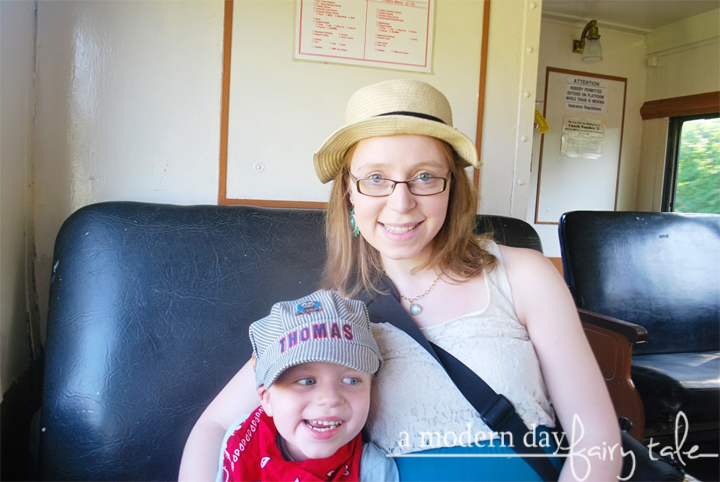 Thomas is hitting the rails again making his way to railroads across the nation, and today I'm sharing some tips and tricks to help YOU have the best Day Out With Thomas possible! Know Your Engines. Chances are, if you're planning a trip to DOWT, you're already a bit of a Thomas fan anyway, but if not be sure to brush up on the whose who on the Island of Sodor! Buy Your Tickets in Advance. You never know when ride times could sell out, so be sure to purchase your tickets as soon as possible to get the time and date you'd prefer! Set a Budget. One of the things that I wasn't expecting on our first trip to Day Out With Thomas was the large amount of souvenir options available. There were toys, there were pennants, there were t-shirts, there was... well, a little bit of everything to honest! There are many options to fit EVERY budget too. My best advice is to bring a little extra for shopping, but also give yourself a limit... it's VERY easy to go overboard once you're there! Be on time! While all other activities have no set time and can be visited as often as you'd like, unless you have purchased an all day pass (which allows for unlimited rides), your ride on Thomas is scheduled at a specific time that you choose when purchasing tickets. Be sure to have a watch/phone handy so you don't miss it! If you have far to travel, I suggest scheduling for later in the day in case of any traffic issues. Don't forget your camera. There will be several opportunities for photos, to include a photo with Thomas and/or with Sir Topham Hatt. While there will be a photographer and a chance to purchase additional photos, you CAN take your own photos as well, and trust me... you'll want to. Dress the Part. Want to make the experience even more fun!? Dress them as a conductor or in their favorite Thomas gear! My son loved all the comments on his perfect for the occasion outfit during our last visit! Most importantly, just enjoy! This experience truly is a dream for so many Thomas fans so just sit back and enjoy the fun! Imagination Station with coloring, building blocks, wooden trains, and battery operated trains. Thomas & Friends gift shop and a variety of food and snacks for purchase. Whew, talk about a fun filled day! If you have a Thomas fan in your life, this is one adventure you do NOT want to miss! 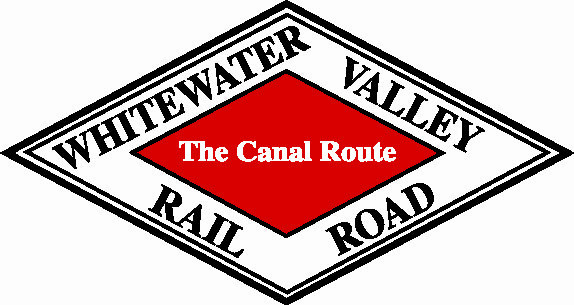 Indiana fans, Thomas is visiting just ONE Indiana location this year: Whitewater Valley Railroad (located at 455 Market Street, Connersville, Indiana 47331). Connersville, Indiana is located only 65 miles from Cincinnati, Ohio, Dayton, Ohio & Indianapolis, Indiana in Southeastern Indiana. Trust me when I say, it's worth a little travel! Dates for Thomas's visit to Connersville are June 15 - 17 & 22 - 24, 2018. There will be free Parking with shuttle bus located at Connersville High School: 1100 Spartan Dr, Connersville, IN 47331. Again, if you are in Indiana, this will be your only chance to see Thomas in Indiana this year, so don't miss out! Of course, the big question: How much does it cost? 2018 tickets are $20 per person ages 2 and up. This ticket price includes one ride behind Thomas, and unlimited use of activities listed above for the day. Want to ride more? Unlimited passes are available for $36 per person. Not local? Don't worry! Thomas is making stops all across the United States (and Canada too)! Visit here to find YOUR local events! We go to Day out with Thomas almost every year. We live much closer to the Connersville, IN one but we usually go to the one in Union, IL.